Over the course of nearly 10 years with Rooms and Gardens in Santa Monica, CA Devon McKeon created many beautiful rooms for her design clients, in both private homes and exclusive boutique hotels. 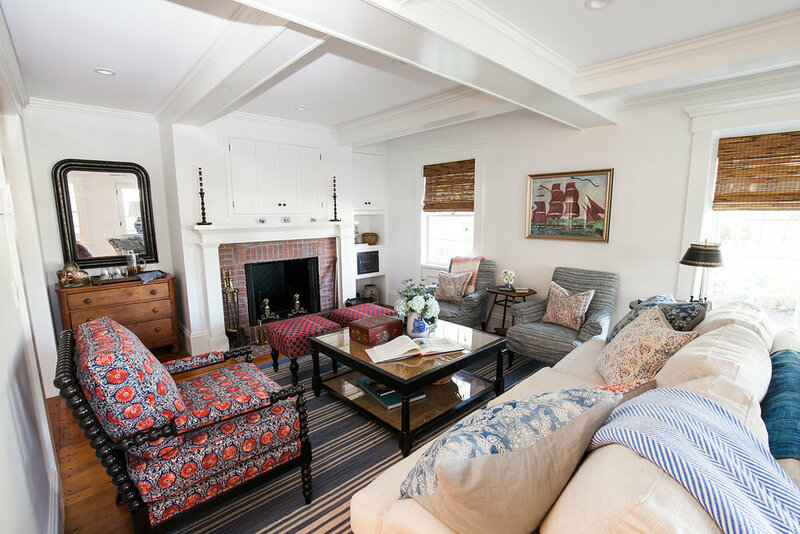 One of her favorite projects was the renovation of an 1840 historic home in Edgartown, MA. Devon worked remotely to build the design plan, completed the project with a quick local installation, and created a cozy, tropical island retreat for this classic New England home.